Octavian Milewski is a Polish-Romanian political analyst. 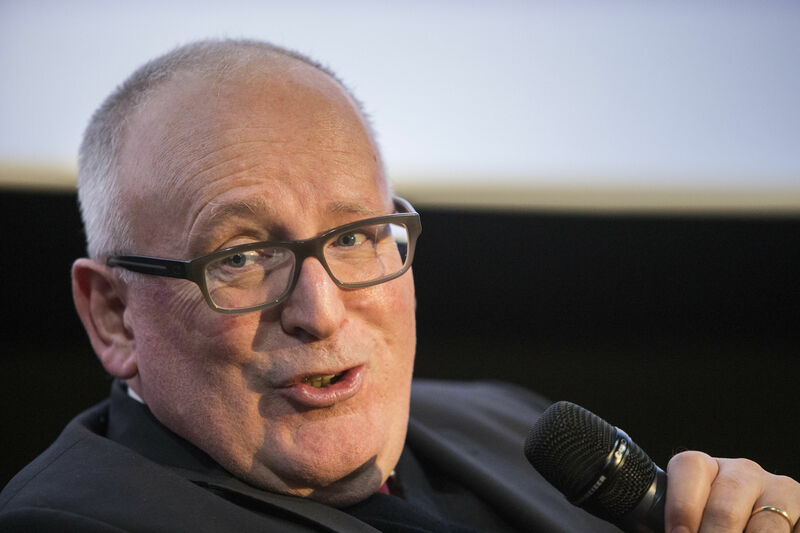 Milewski spoke to euractiv.pl’s Editor-in-Chief, Karolina Zbytniewska. 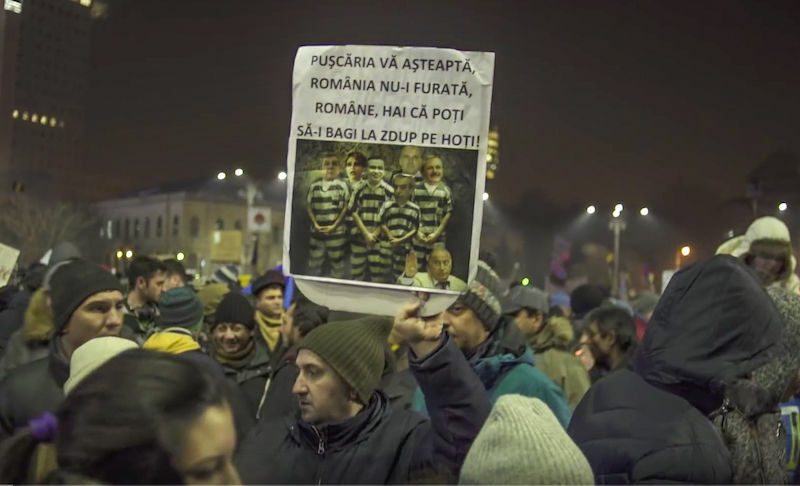 Thousands of Romanians have been protesting in the streets since last week. Over 250,000 hit the streets of Bucharest yesterday. Are we witnessing a second democratic revolution in Romania? Yes, we surely are. It is a democratic and civic revolution in Romania. It is unprecedented for post-1989 Romania to have such an exemplary mass civic mobilisation. It is a testimony to how much Romanian society has changed and Europeanised. It is a protest transcending party affiliation, regional and ethnic self-identification, age categories, religious affiliation and social strata. Moreover, it is a peaceful protest, bringing up what is best, colourful and imaginative in the protesters. 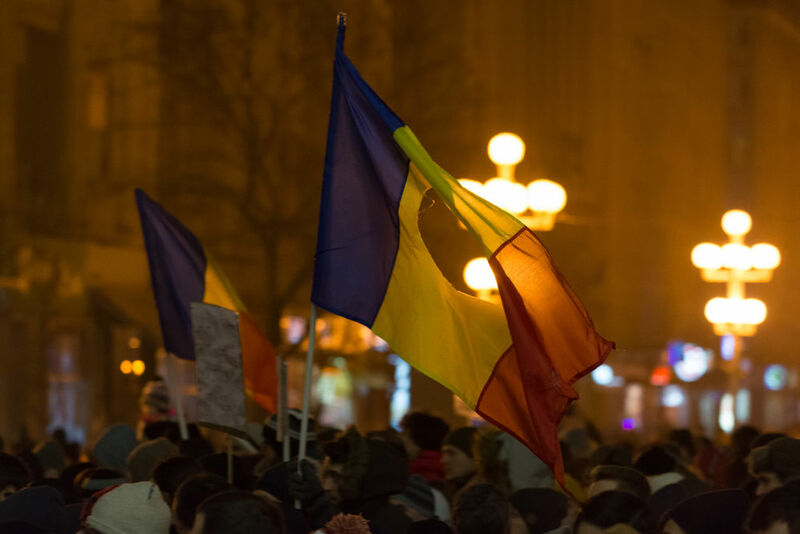 There has been no social entity capable of organising Romanians in such numbers until now, which makes us recognise the maturity of civil society and the civic attitude in Romania. For a country that until now was perceived as a laggard even in the way it stood for its own basic rights, this is indeed a moral revolution. The decree that triggered the protests came with a separate bill that would free some 2,500 prisoners on short sentences. The proposed regulations aimed at freeing major ruling party politicians and oligarchs, especially Liviu Dragnea, de facto leader of the governing party. He couldn’t become the premier in the December elections due to a two-year suspended sentence, from April 2016. How can such a coup d’état against the rule of law can be possible in a democratic country, and a ten-year member of the EU? It all started in 1989-90 when the Romanian state was captured by a turncoat former communist and Securitate apparatus from the second and third level. The key positions in the state have been since dominated by such individuals. The steady modernisation and Europeanisation diminished the powers of this oligarchy of sorts. A qualitatively new level in fighting this corrupt oligarchy occurred in the last years and was driven among others by Romania’s membership in EU and NATO, and its strategic partnership with the US. Those thousands that now spend their sentences in prisons together with those who knock at the prisons’ doors pushed back recently not only against the improved rule of law but also against the gains of European values that took roots in the Romanian society. To a certain degree we have witnessed something similar in Hungary – here I mean the reversal of the democratic gains – but unfortunately, in Hungary, this oligarchy has been more successful. Not surprisingly, the biggest party in Romania – the PSD, the Social Democratic Party – included the highest number of politicians hiding from the law behind their parliamentary immunity. It should be emphasised, though, that the PSD is not alone. In fact, this is a trans-party approach to pushing corrupt interests, practices and actions. Basically, the political parties came to be considered the least trusted political actors in Romania. This “resident scourge” is the one that massively energised masses of citizens who are fighting peacefully these days in the squares and streets of Romanian cities and towns. One of the provisions of the new decree would decriminalise offences for sums of less than 200,000 lei (€45,000). Why 200,000? The threshold sum was not picked at random. Very important politicians and high civil servants were indicted and condemned for prejudices that amount to sums under this threshold. Among them, there is also the leader of PSD Liviu Dragnea and some other prominent political leaders. If it enters into force, this legal provision would decriminalise exactly those cases that made Romania stand out in the EU for its success in fighting corruption in the last four to five years. Romanian Prime Minister Sorin Grindeanu announced on Sunday (5 February) the repealing of the decree. It must have been a huge disappointment for Dragnea, who most probably wanted to take over Grindeanu’s position. Grindeanu is, in fact, a strawman. Even if he is only a few weeks into his office, his declarations have rarely not been sanctioned by his patron, Dragnea. It is to be expected that now they will still search for a back door to escape, although it’s not impossible that they will try to compromise by abrogating the decree and asking for the resignation of the minister of justice. The debate in the parliament, promised by Grindeanu would be necessary more as a cover-up for legitimacy that was totally lacking, previously. Their delicate situation is more complicated, however. A majority of protesters have upped their demands. They first ask for the abrogation of the ordinance and the decree, and then the complete resignation of the cabinet and snap elections respectively. There is another scenario, according to which, the current ruling coalition may attempt to suspend the president. But this is too far-fetched in a reality where the country is literally boiling with emotions. Romanian President Klaus Iohannis, as well as the Ombudsman, Victor Ciorbea, challenged the new law in the Constitutional Court. It was also criticised by the Orthodox Church. We should make a moral difference between Iohannis on the one side, and Ciorbea and to a degree the ROC (Romanian Orthodox Church). Iohannis was on the side of the street and was explicitly anti-corruption from the very beginning. In fact, he was the very first to start this campaign of precluding that the legal acts be put on the agenda and be adopted. He seized the moment from the very first convening of the cabinet of ministers to discuss the text of the two ordinances, calling them “the two elephants in the room”. Iohannis also made the official demarche to start a referendum, calling into question the political reasonability to change the penal code. Immediately after, the street partook in the spreading and amplifying of the anti-corruption message. Symbolically, the first protest on 29 January had among its main mascots the two elephants, i.e. the two legal acts that the government was planning to sneakily adopt. Iohannis’ next move was the challenge at the Constitutional Court. He was subsequently backed by the prosecutor general, who challenged the legality of the procedural adoption of the two ordinances. As for the ombudsman, his office quibbled for at least 4 days, since the protests started. During this period the protesters were not very optimistic about what could come from Ciorbea. It seems that reason and especially correct legal judgement overcame the doubts of the ombudsman. He hit yet another nail in the “ordinance coffin”. Do the divisions amongst Romania’s political leaders reflect a similar polarisation among the people? We should not speak about division in the Romanian society, but of its contrary effect. To see all these essential institutions rally with one voice behind the protesters against a party oligarchy is unprecedented. Yes, it is a division, but only a division that creates unity among citizens who were deprived of their basic rights to justice and fair treatment. To see the ROC rally behind the protesters is not only unexpected but also in part contrary to its previous accommodating attitude toward the state and the other way round. Here we are witnessing another symbolical breakthrough: the Romanian Orthodox Church taking an irredeemably civic attitude against an arrogant state. Not to mention that ROC is confronting a serious corruption case against one of its main Archbishops from Constanta. The expectation is that ROC would have sided with the government. 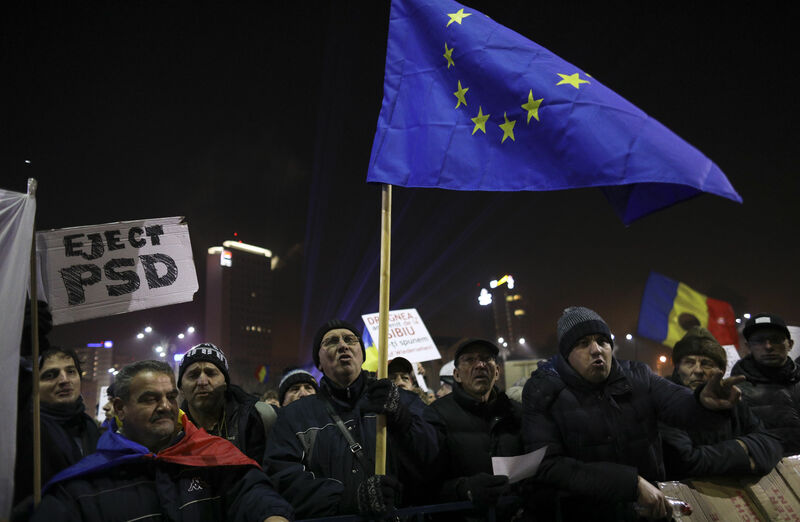 Romania’s government on Thursday (2 February) rejected calls to withdraw a decree that critics say marks a major retreat on anti-corruption reforms, standing its ground as huge nationwide protests entered a third day. Romanian society is at its least polarised moment since abolishing the communist state. However, the polarisation occurred in reference to the state. The current government has broken its social contract with the citizenry less than one week since the first protests started. Herein lies the danger. The government has lost the legitimacy that it received no more than two months ago when the biggest party PSD received 49% of the popular vote. 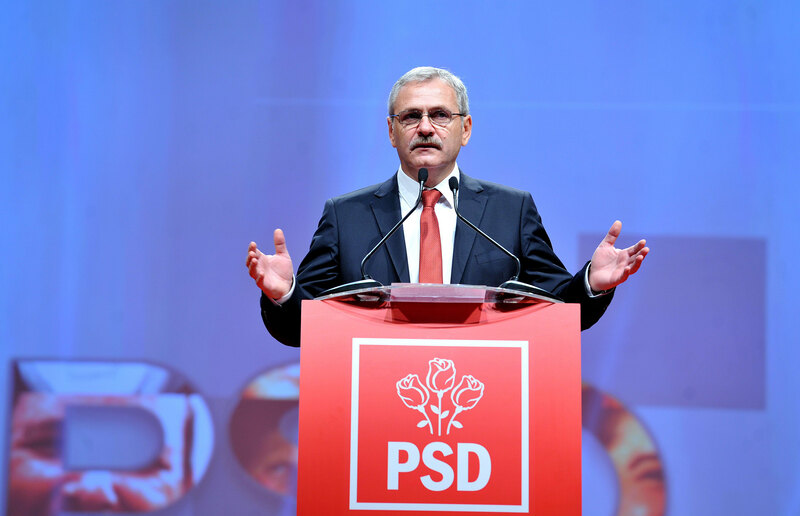 Normally, the PSD and ALDE (Alliance of Liberals and Democrats – Romania) would have had all the time in the world to implement their political program with which they won such an overwhelming score. In this context, it is hard to predict how such an abruptly hurt animal could act. But judging by the mood in Romania, it is hard to imagine who would have the impertinence to challenge the power of millions of energised citizens.